mien began back in 1999 as mien haircutters, a family business that was very popular amongst the locals, later it was renamed as mien Salon Spa and extended to include beauty & day spa services as well as clinical practitioners. The word mien translates to your appearance, your demeanour, or the air about you. At mien Salon Spa, we assess all the possibilities that create a beautiful mien, and use our experience to potentialise that in our clients. 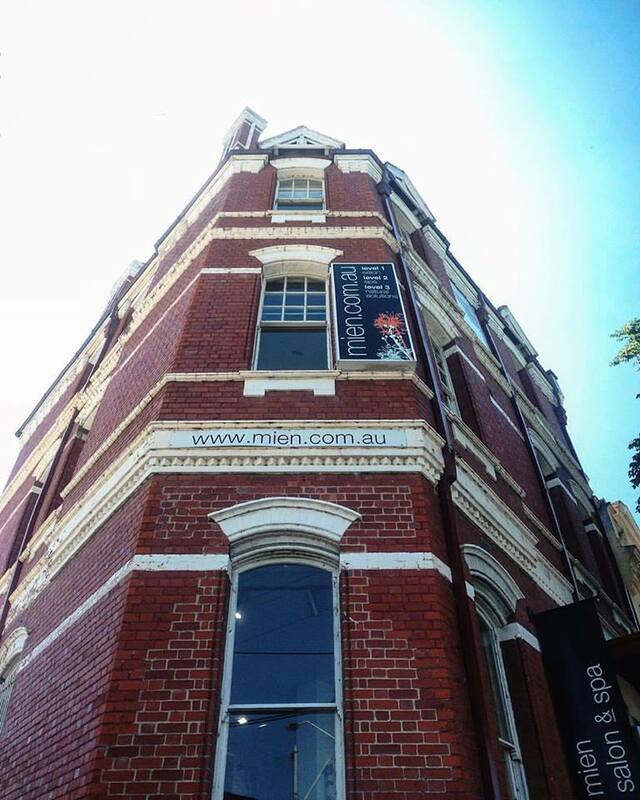 The building itself was built in 1889 and is a unique heritage-listed building that encompasses the essence of renewal. Architecturally, it’s original Queen Anne Revival style on the outside, intertwined with a contemporary interior design on the inside. And Level 3 hosts the mien Practice rooms. mien Salon Spa is well appointed, with friendly & professional staff, and background music designed with ambience in mind. Unwind in the revolution of fresh, inspiring and contemporary treatments, services, and products that are available. With years of experience and invaluable expertise, our stylists will assess your individual composition. You can reinvent or simply revive your look with our exceptional stylists on Level 1. Revitalise with our broad range of unique services and packages that are available on Level 2. Whether it’s a facial on your day off, a relaxing massage, tandem pampering for two, or your regular waxing, your beauty and holistic needs will be met in one of our luxurious treatment rooms. We compliment our focused, modern approach with the AVEDA product range. With an Ayurvedic inspired, botanically based selection of products, the AVEDA collection is a high performance, ecologically responsible approach to all aspects of treatments available to our clients. Visit mien Salon Spa today for mind and body relaxation and renewal! Call mien reception on (03) 9482 9199 or email contact@mien.com.au and we’ll get back to you soon!